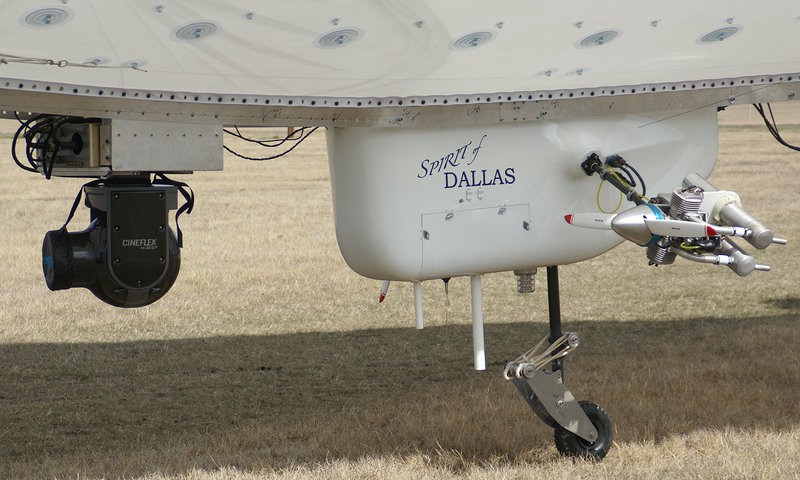 Unmanned Airship Flight Operations - Galaxy Unmanned Systems L.L.C. Galaxy Unmanned Systems L.L.C. is a pioneer in unmanned airship flight operations. Prior to the 2007 FAA United States National Airspace System (US NAS) shutdown, Galaxy flew our 35ft, 60ft, 75ft and various other airships all over the U.S. 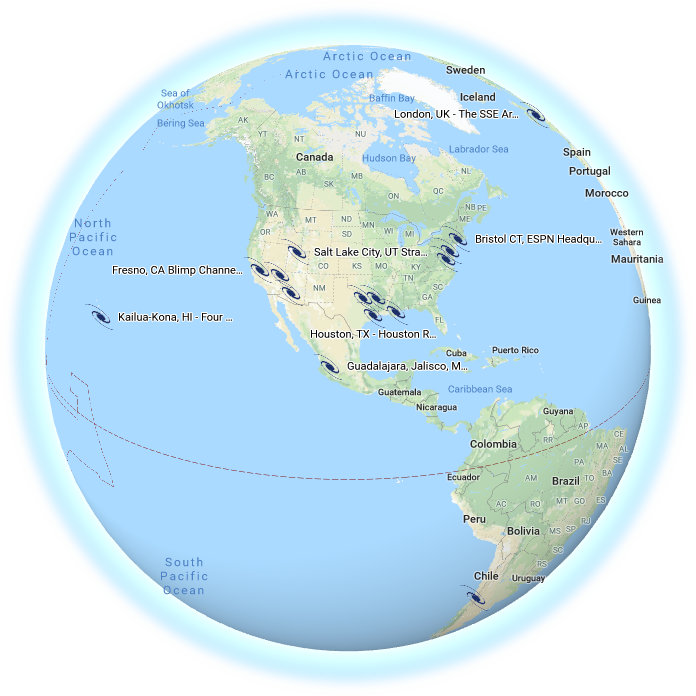 The map below provides a look at a few places we have flown, including our reach beyond the United States. This interactive Google map can be expanded to a larger map for easier navigation. Be sure to check out the descriptions for each location along with the attached pictures and videos! Bear in mind that digital technology was not cheap back then, so Galaxy didn’t always capture our adventures with the best quality video (especially when the operations were rugged or the mission objectives were not video-centric). Select various locations and check out the descriptions, pics, and videos. Select “View larger map” in the top right to see a full-page version for easier navigation. No, not really. It took over a decade to get a patchwork process from the FAA for just the possibility of getting certified to sorta exist. That is, if you had really deep pockets and didn’t mind waiting years to get your platform certified for a specific application. Fast forward to today and the UAS industry is finally closer (than ever) to actually having a coherent path to legalized flight operations. In celebration, Galaxy has posted this map to show that successful, safe operations HAVE been conducted, by Galaxy, and for a non–trivial period of over seven years from 2000-2007.
and even aiding in implementing UAS technologies along the U.S. southern border. All of which, as it turns out, happen to directly benefit integration of commercial UAS platforms into the US NAS. Hence, as the legal bureaucratic processes for commercial UAS operations slowly…oh-so-slowly…catch up with UAS technology, Galaxy will again take to the U.S. skies. Our improved line of unmanned airships are upgraded to absorb all the new advances in drone technology. Best of all, we’ve also incorporated our DoD-inspired operational methods and documentation practices. This synergistic combination will ensure safe operations and pave the way for future FAA certification for us and our clients!